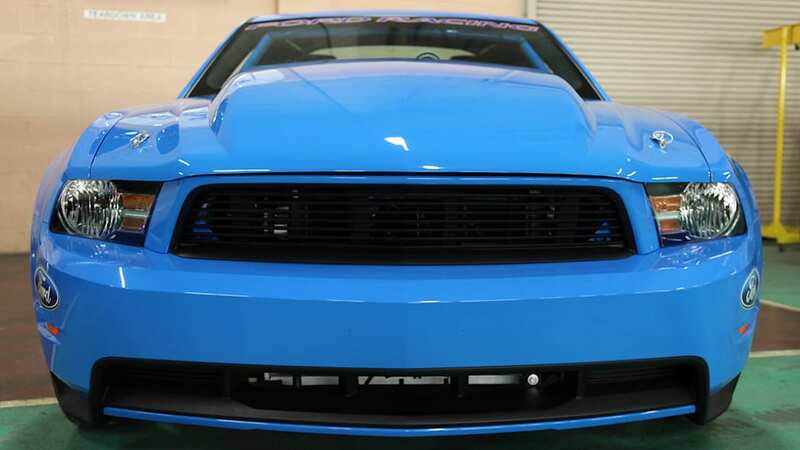 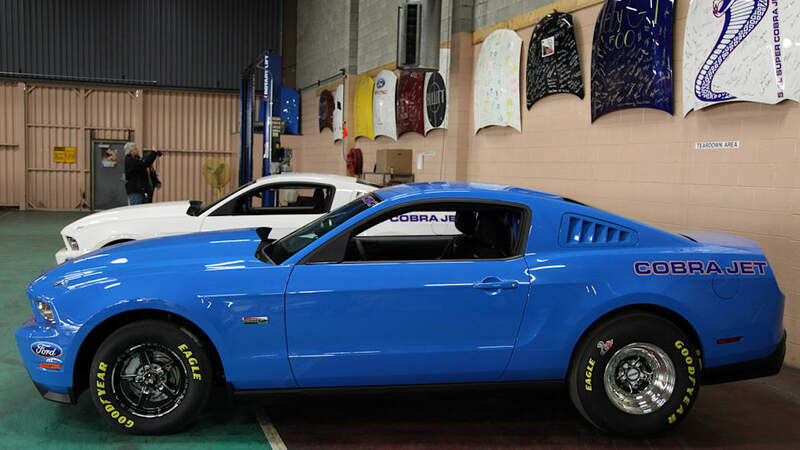 We're all for an event that culminates with the serving of cake, especially when the sweet stuff is delivered in tandem with supercharged Mustang coupes built especially for drag racing. 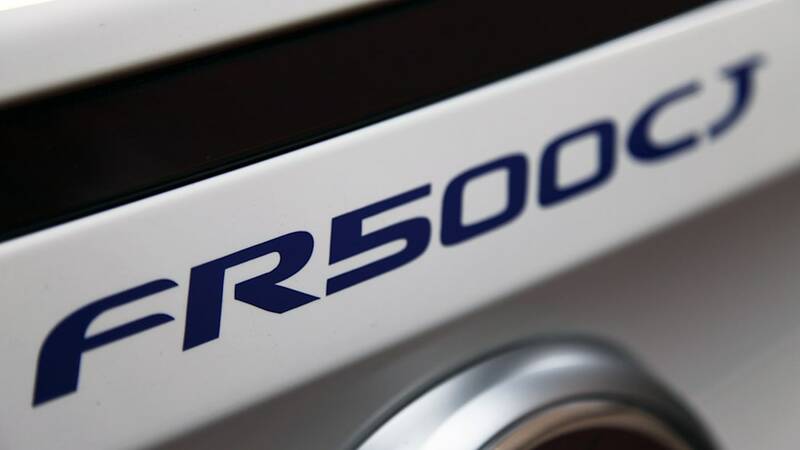 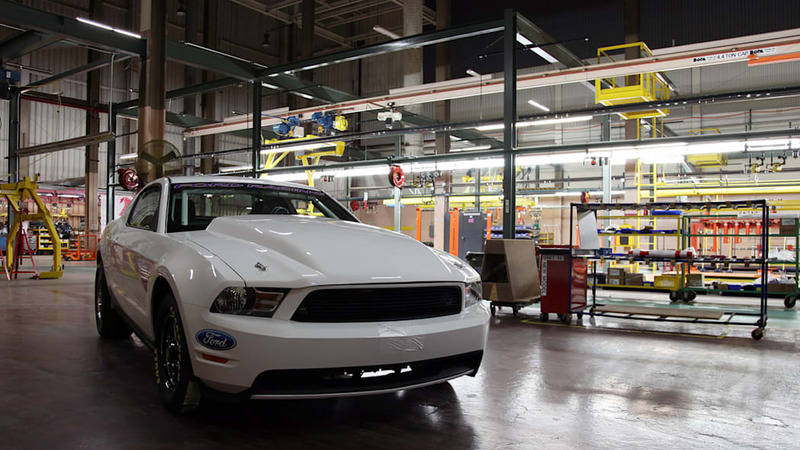 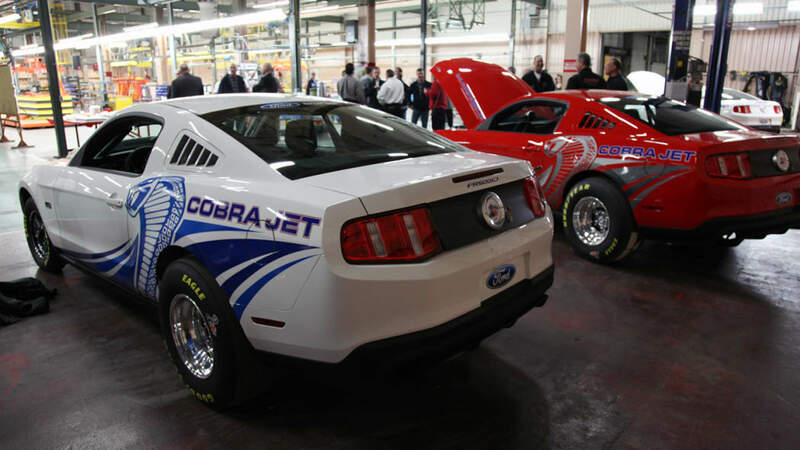 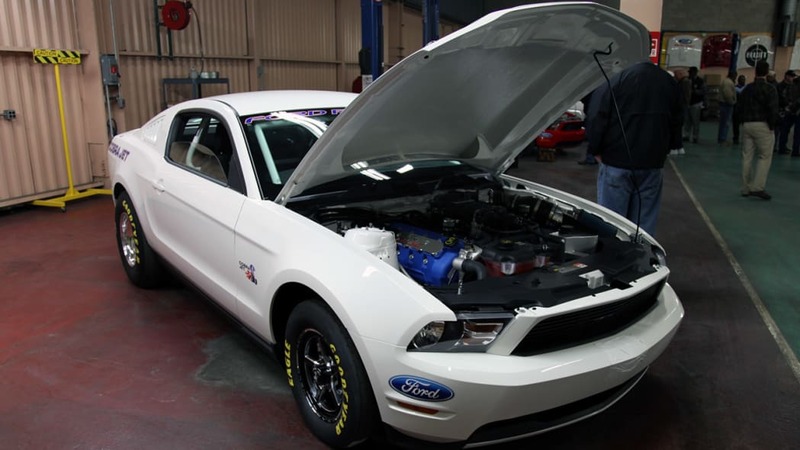 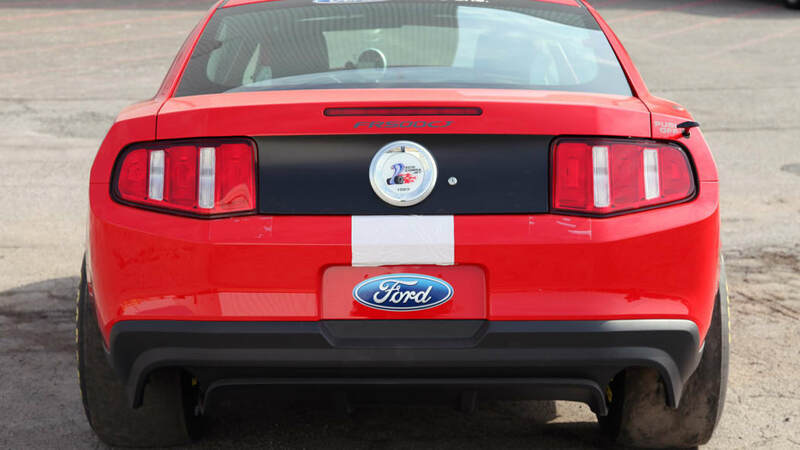 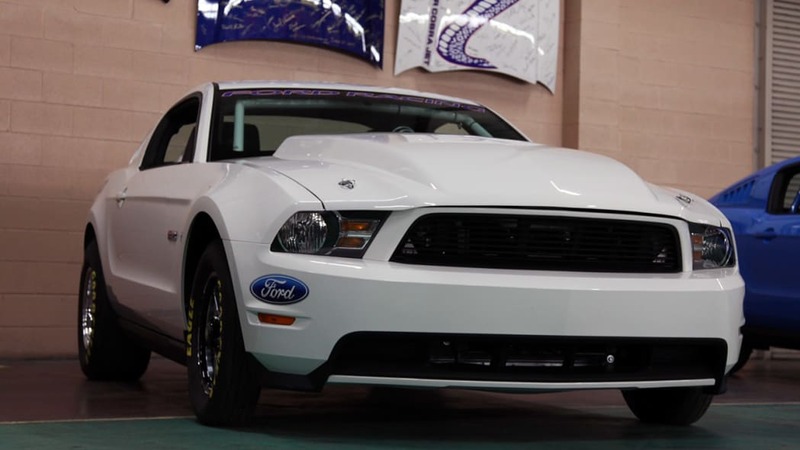 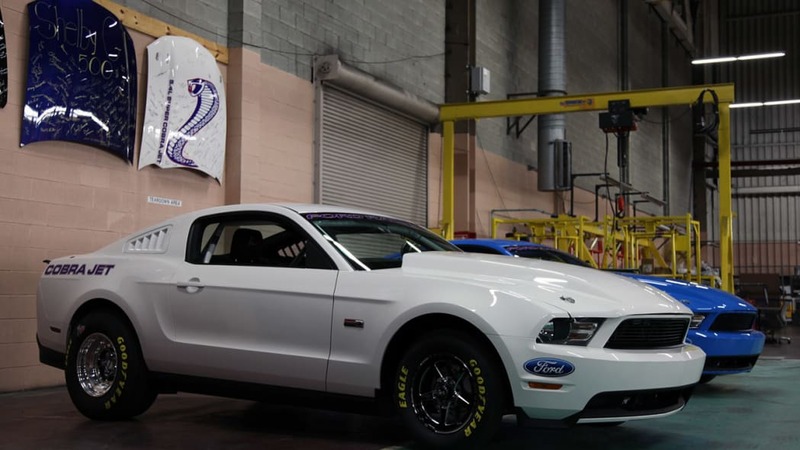 Ford recently threw a party at the Auto Alliance Mustang factory in Flat Rock, MI to celebrate the official delivery of its new 2012 Mustang Cobra Jet, a vehicle that the company proudly maintains is quickest accelerating production vehicle ever made. 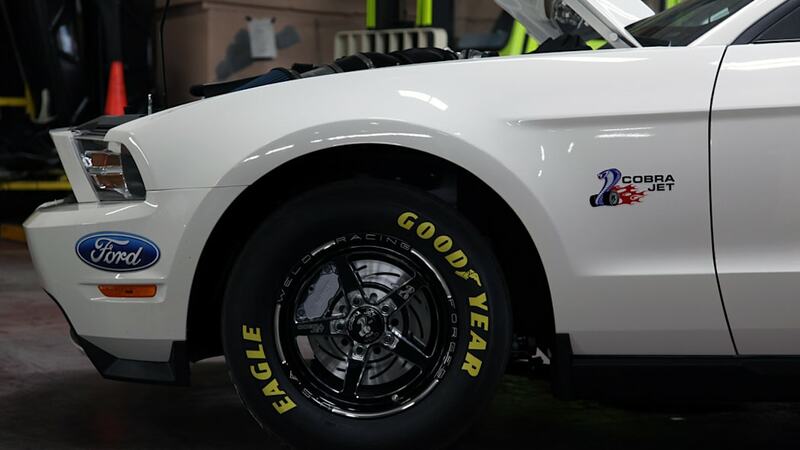 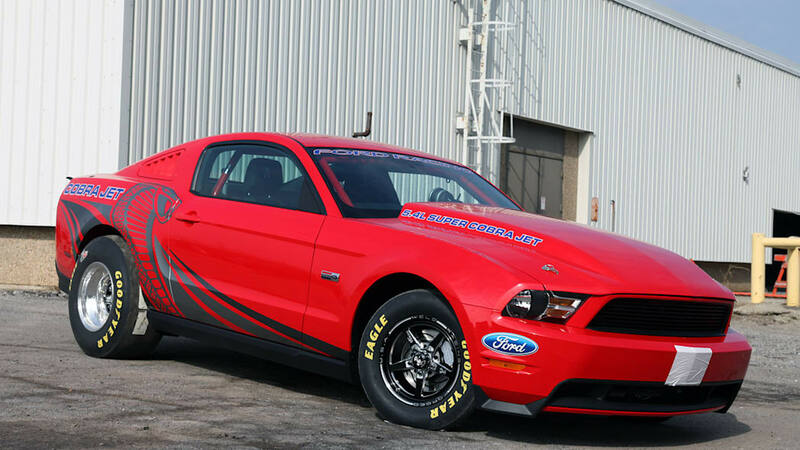 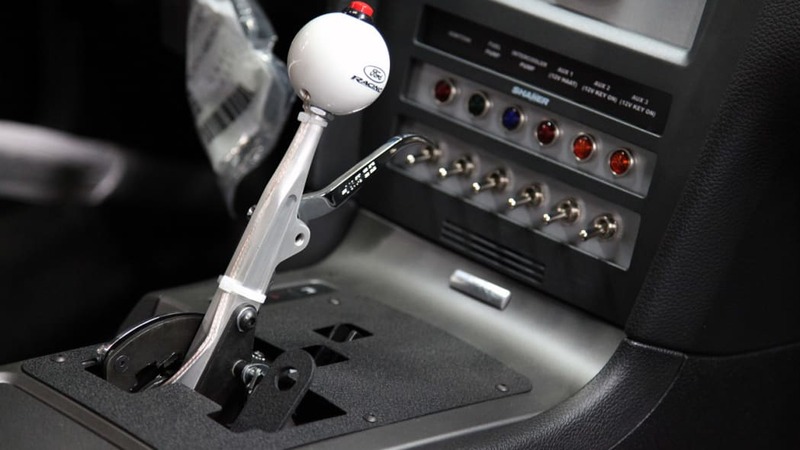 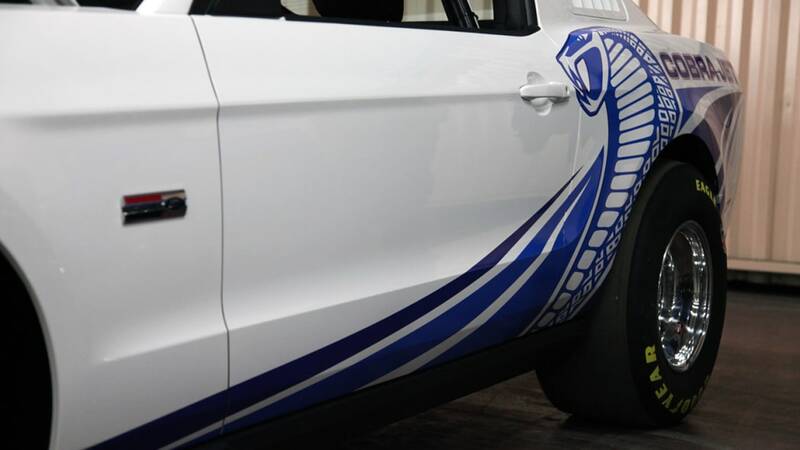 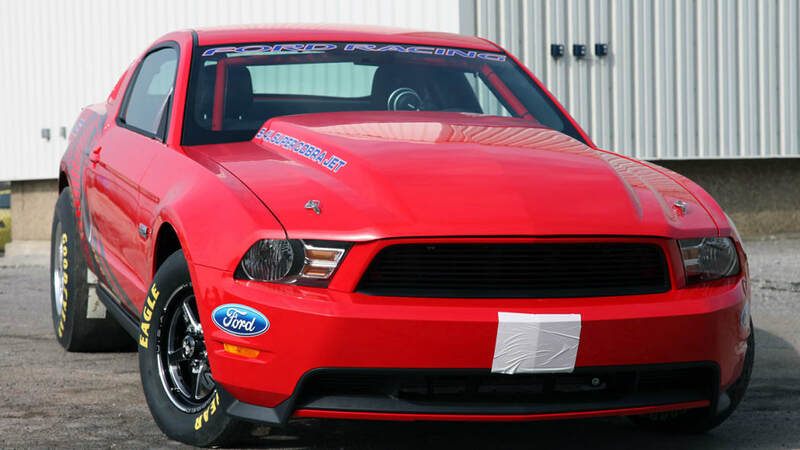 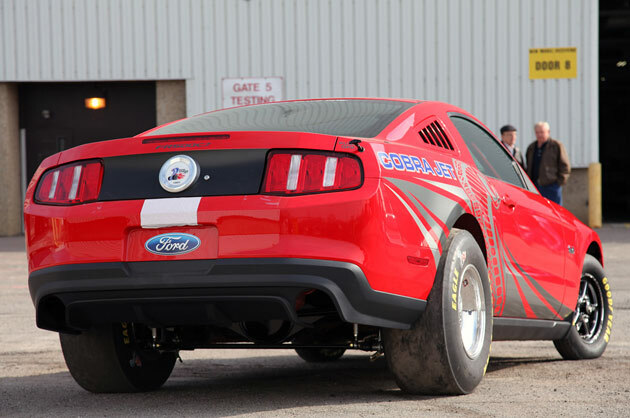 When pressed, Ford tells us the CJ will do a 60-foot launch in 1.3 seconds and the quarter-mile in under 10 seconds. 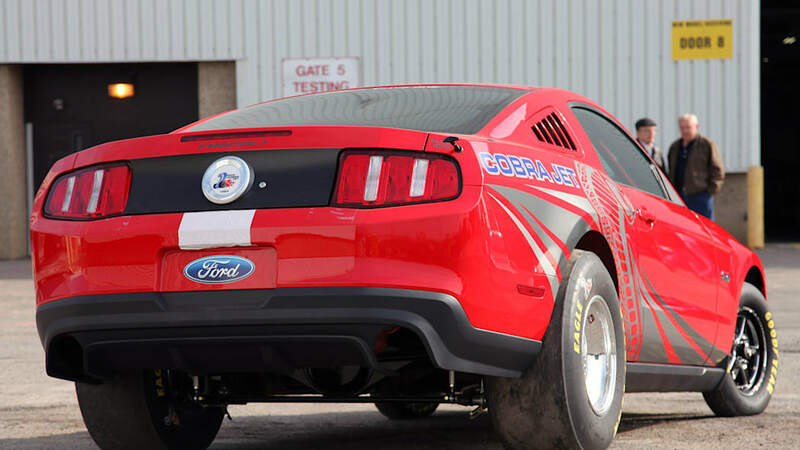 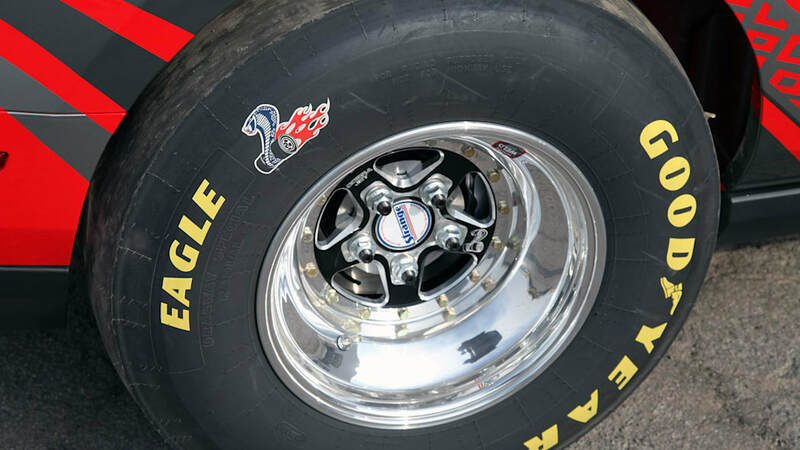 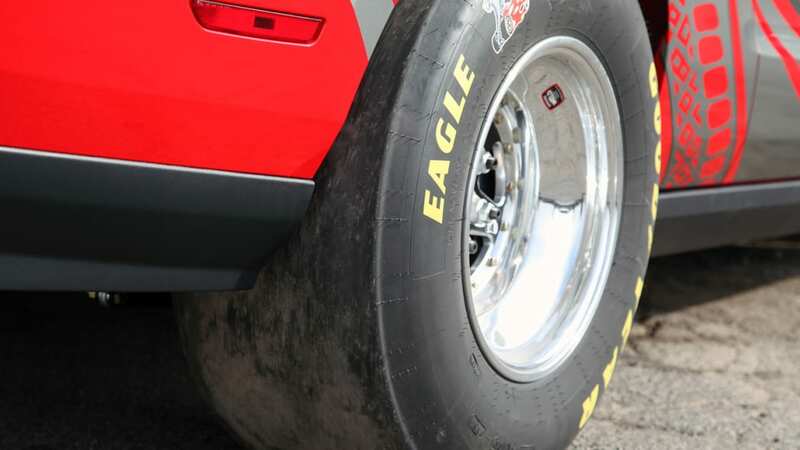 We asked about a 0-60 mph time, but we were reminded that measurement is pretty meaningless in drag racing. 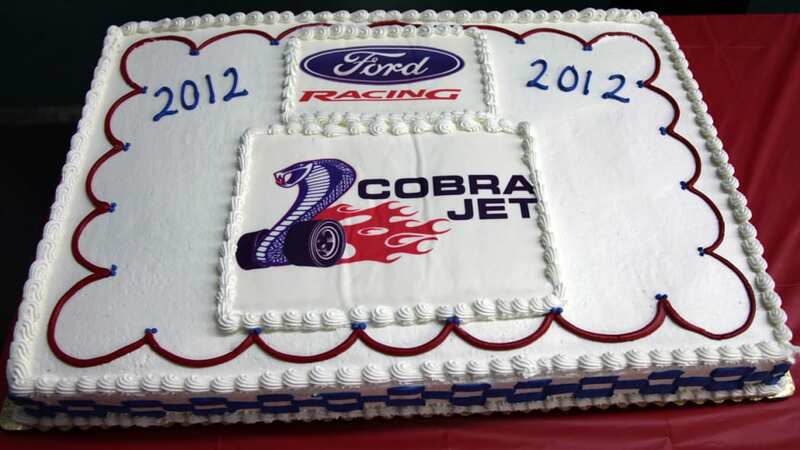 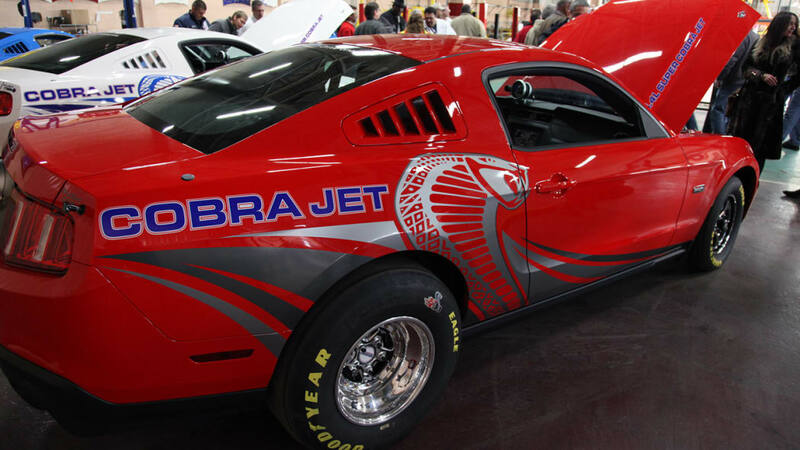 Cobra Jet buyers from all over came from as far away as Calgary, Alberta and Puerto Rico to participate in the ceremony and take delivery of their new racecars, and we're betting they would have made the trek even without the sheet cake. 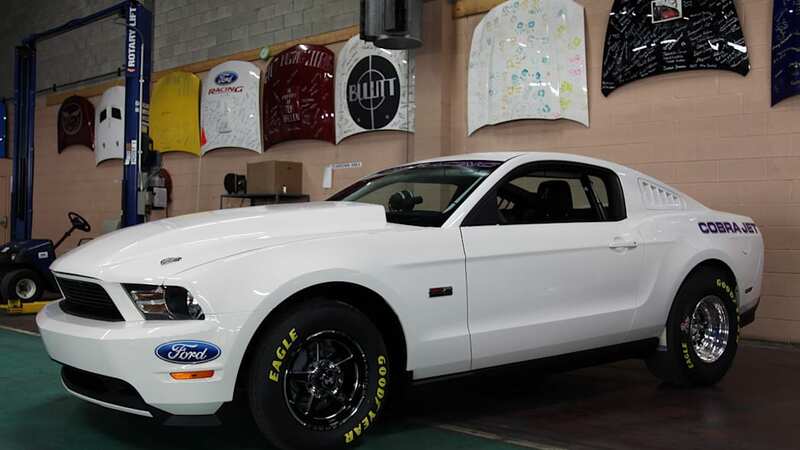 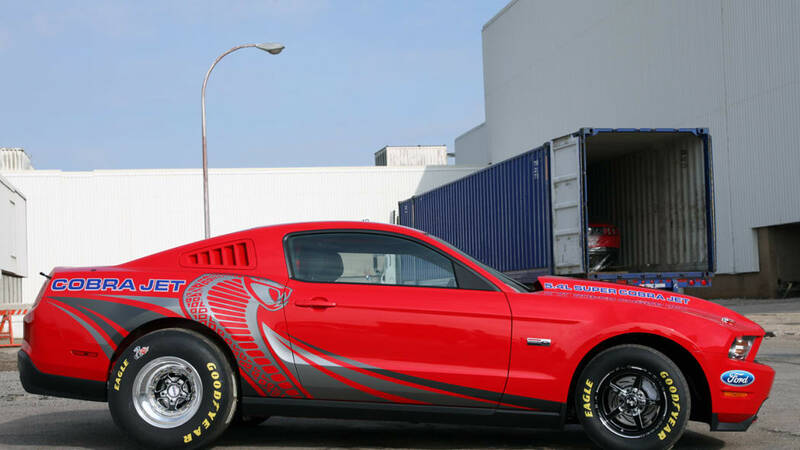 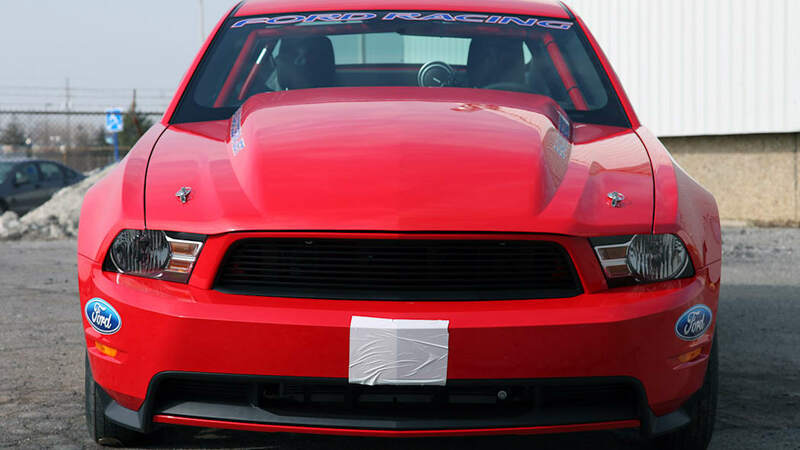 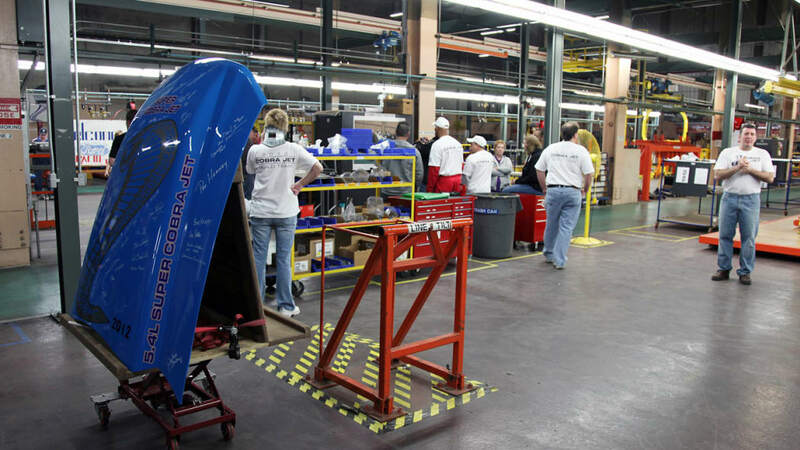 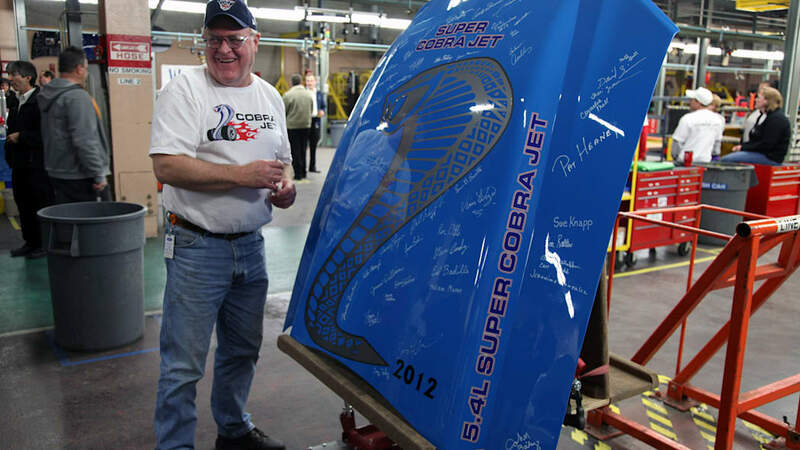 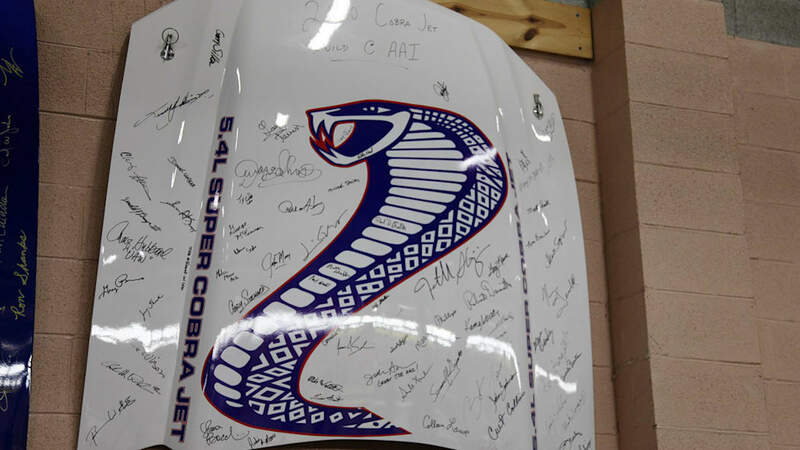 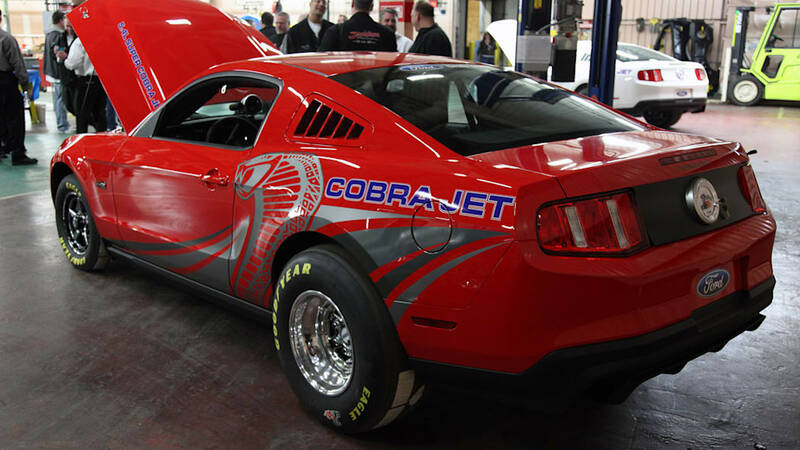 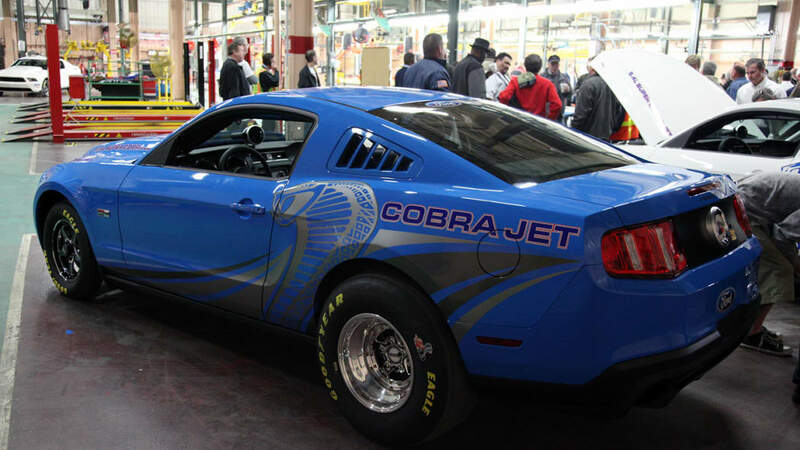 All attendees signed a 2012 Mustang Cobra Jet hood that will later be placed on the walls of the production facility. 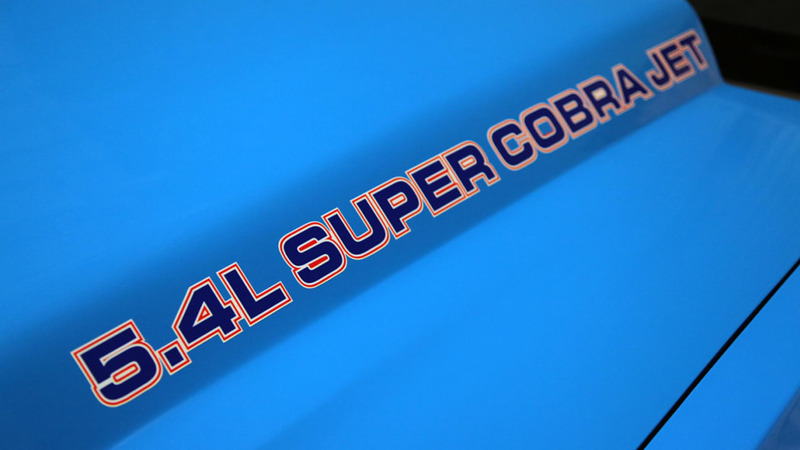 The asterisk by those performance numbers is, of course, that the Cobra Jet isn't street legal, it's an out-of-the-box drag racing solution for anyone not interested in taking years to engineer and refine their own racer. 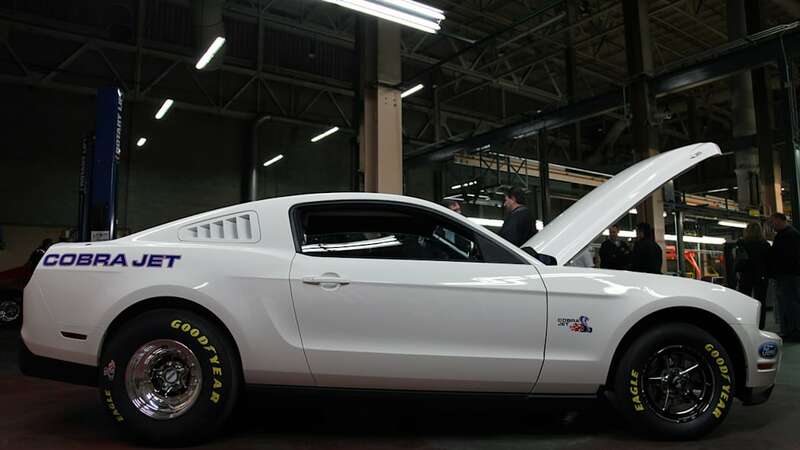 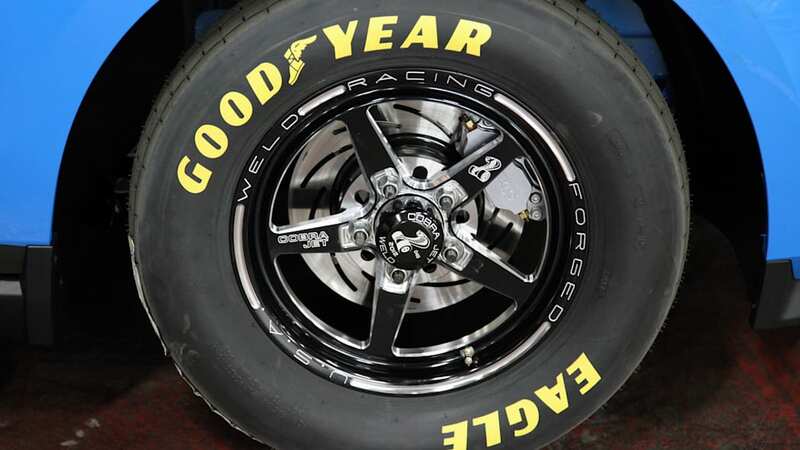 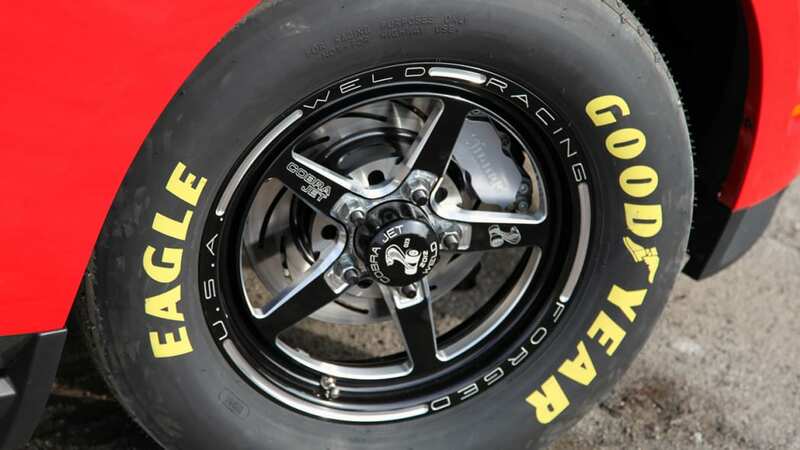 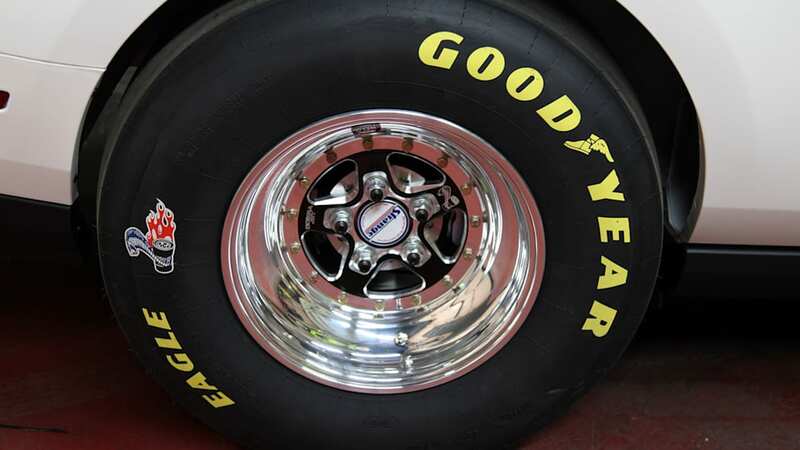 New for 2012 is an aluminum-block 5.4-liter V8, a modified suspension, low-drag racing brakes, new black anodized wheels and a stickier set of Goodyear racing slicks. 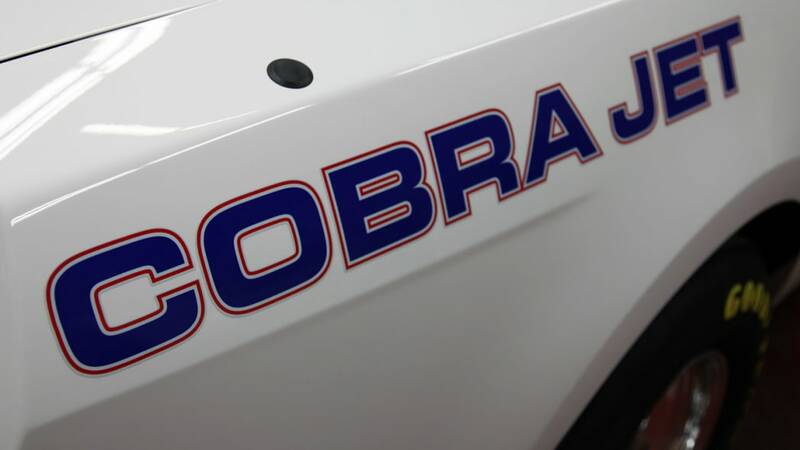 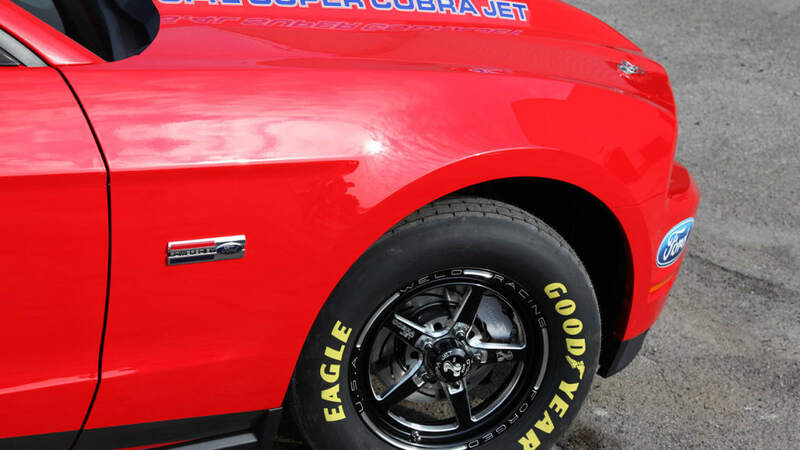 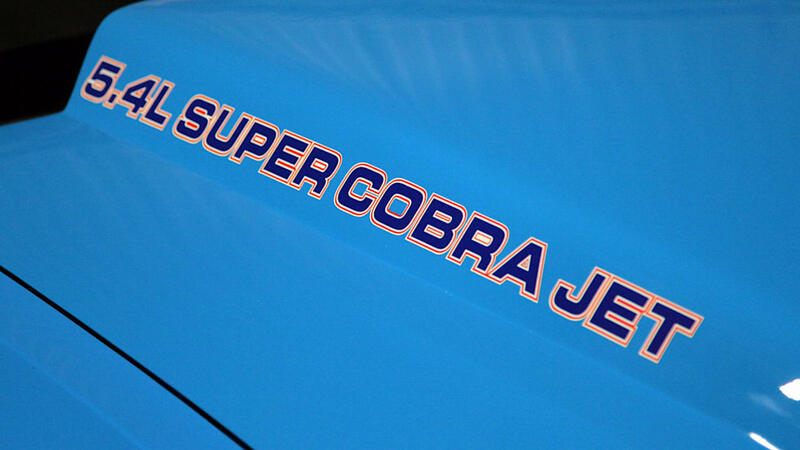 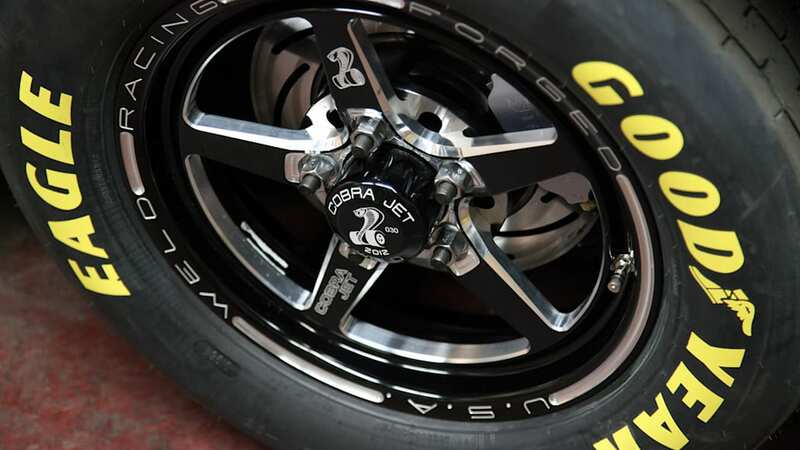 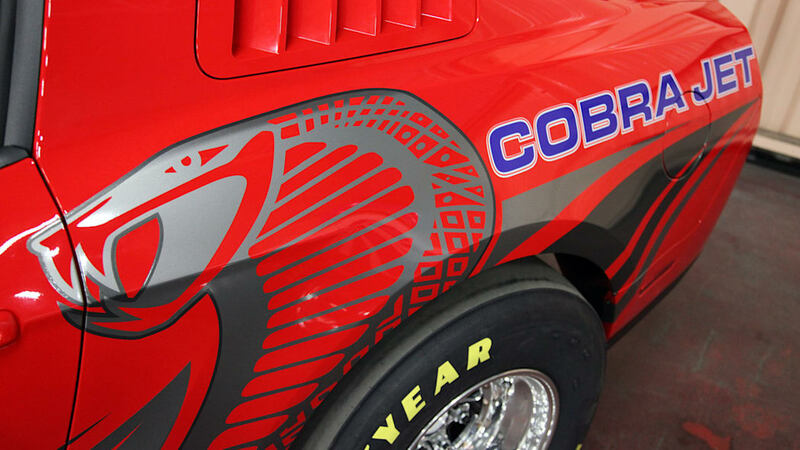 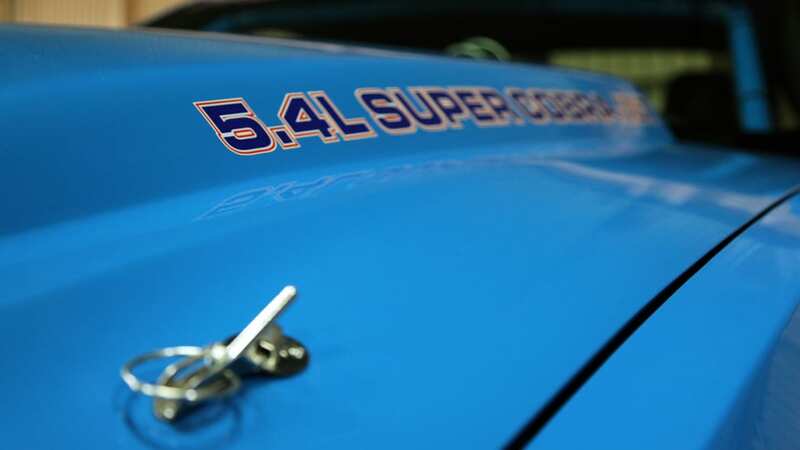 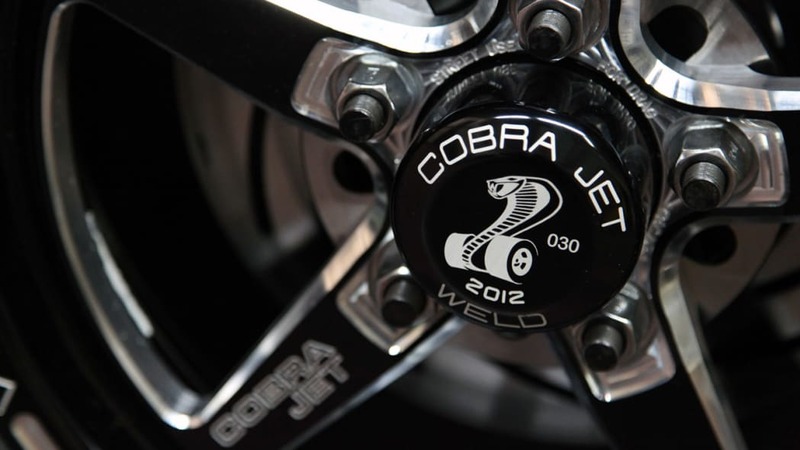 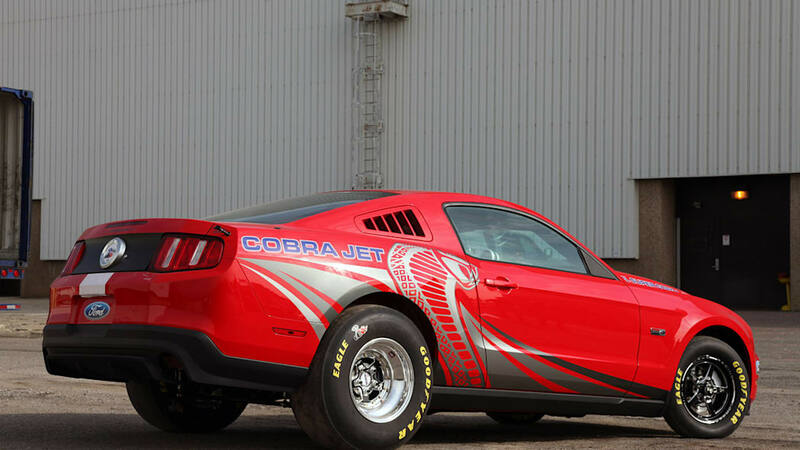 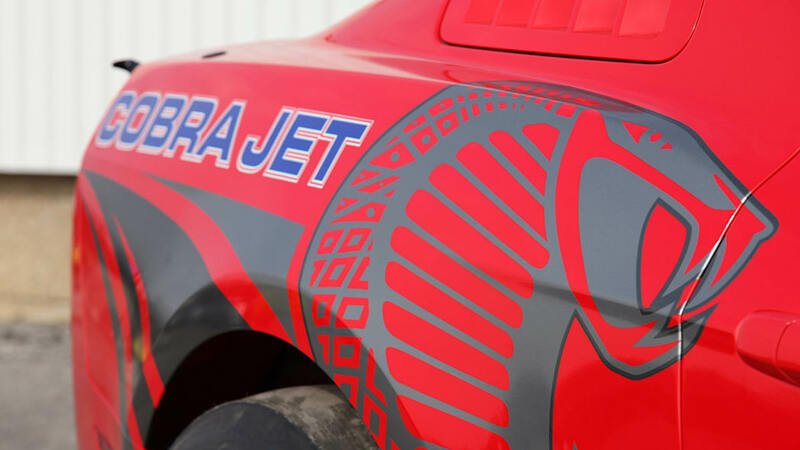 The Cobra Jet can be had with your choice of a 2.3-liter TVS supercharger or a 4.0-liter Ford Racing Whipple supercharger. 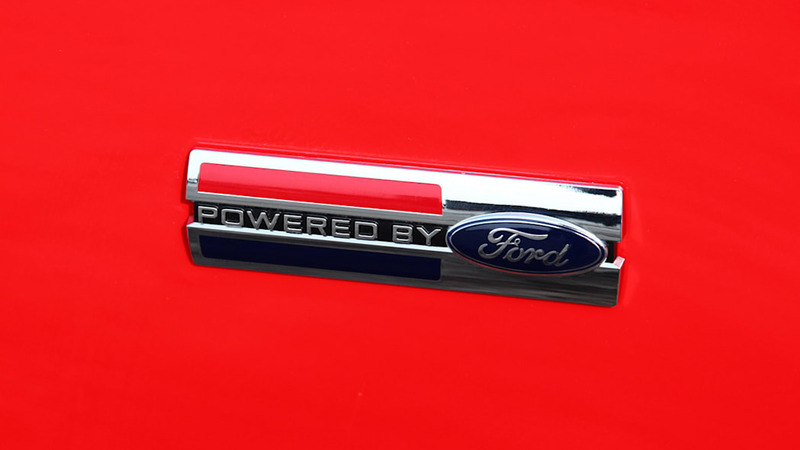 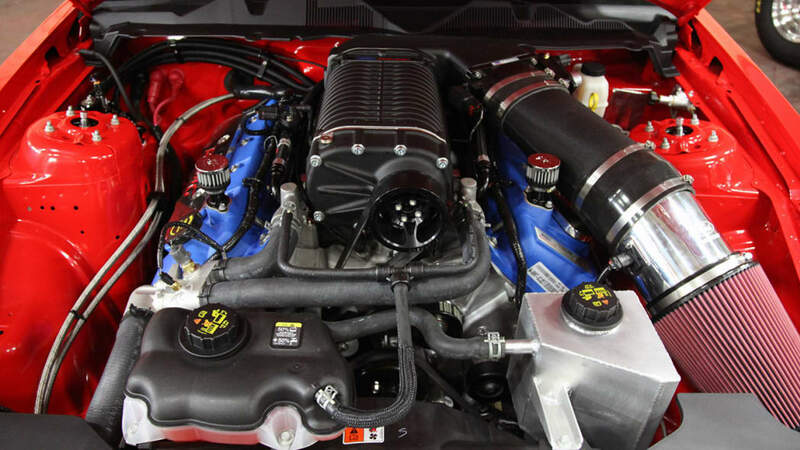 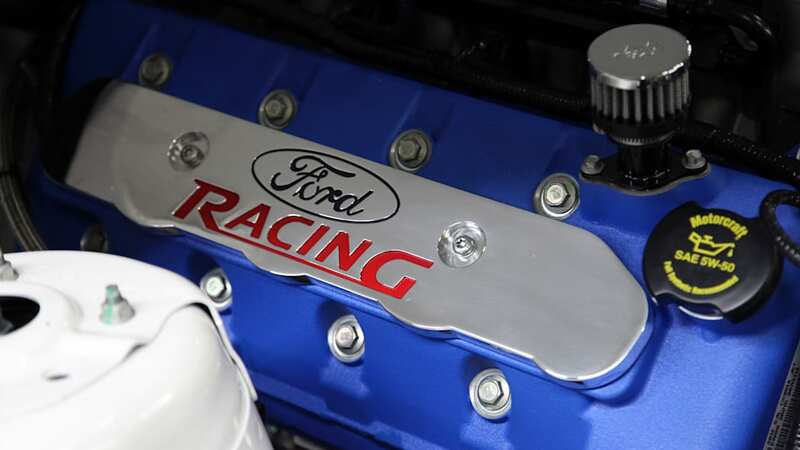 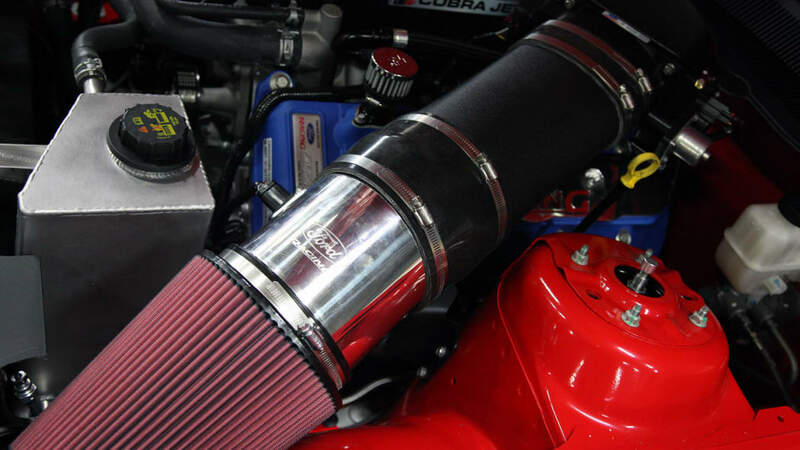 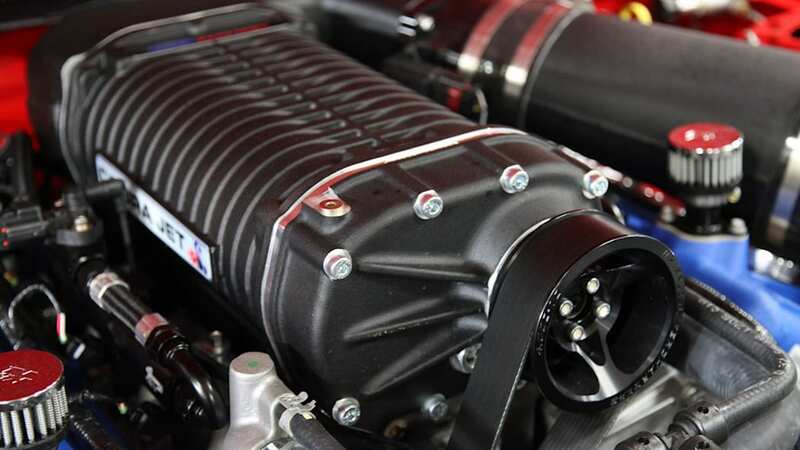 Both superchargers help the 5.4-liter V8 power out at a National Hot Rod Association-compliant 425 horsepower, though the boosted mills can be tweaked to output hundreds more ponies without much fuss. 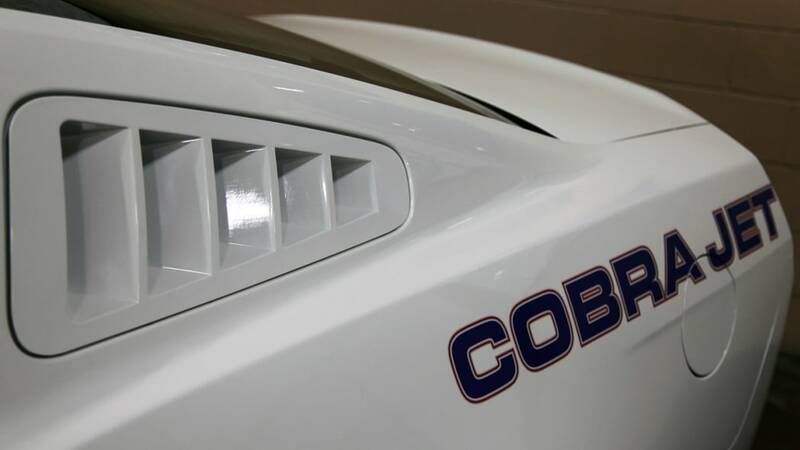 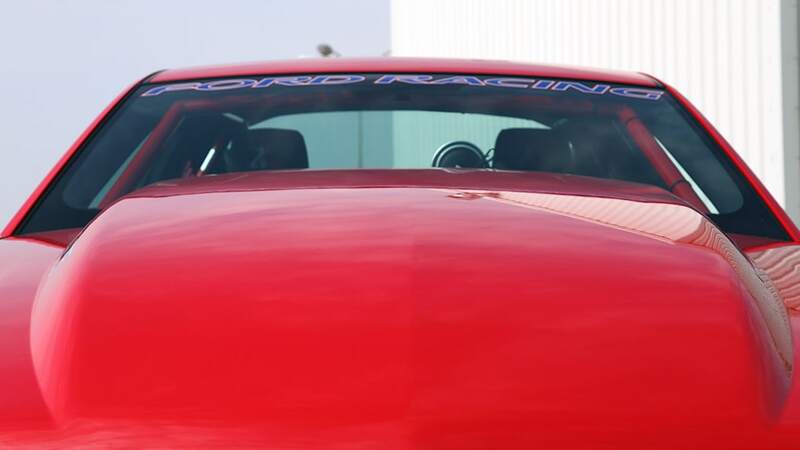 Owners of the 2010 model year Cobra Jet told us that the TVS unit will cruise through a quarter mile in under 10 seconds, while the Whipple version will cross the finish line in under nine seconds. 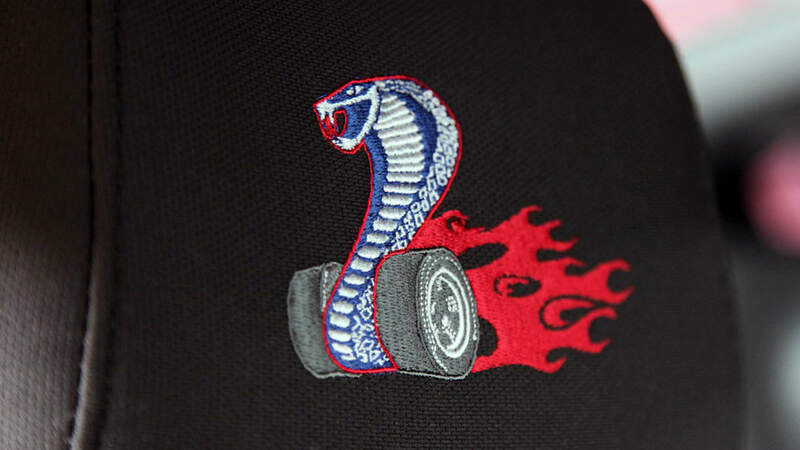 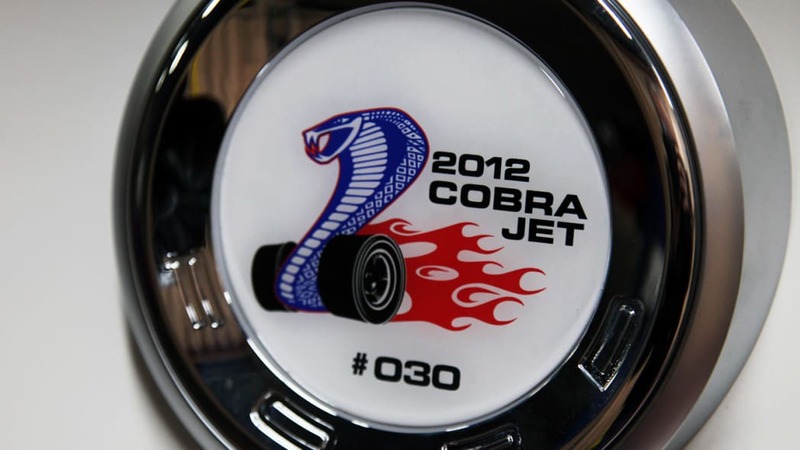 The sold-out 2012 Cobra Jet starts at $91,990, with a fully loaded Cobra Jet coming in at $103,980. 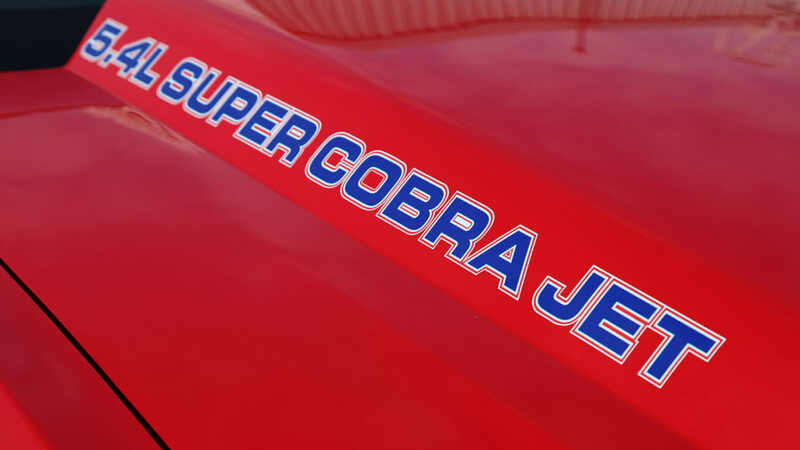 That sounds expensive, but Cobra Jet owners tell us that it's cheaper than a do-it-yourself project delivering the same results.